I agree, loving them both! These are wonderful! That bag would be perfect for everyday and could be dressed up or down. This would be an awesome gift for my beautiful wife! ...and it will be if I win! Thank you for the contest. Absolutely LOVE both of these!!! I SO need a new bag and who wouldn't love this cuff? I love these! The bracelets are so cute! Thank you so much for the giveaway love these items! I truely love them both! Ooh, what a lovely contest! I just love turquoise :3. 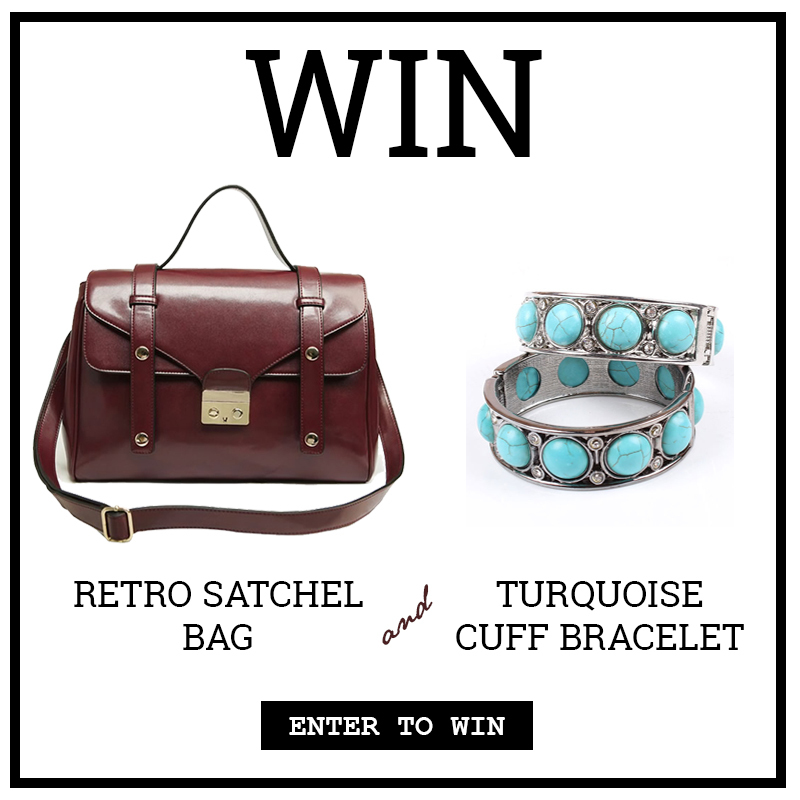 Love the retro bag and turquoise jewelry is always fun and lovely. I love the retro bag and bracelet. That is so inexpensive for the bracelet! such lovely bag that I would like to use it everyday! I love them too, I wonder if my Granddaughter is into retro yet? I'm going to turn her on to your site. This is a great giveaway! Both items are stunning! Omg, I love that bag! These are awesome! I love the bag!!! That bag looks super professional. Perfect for a workplace!